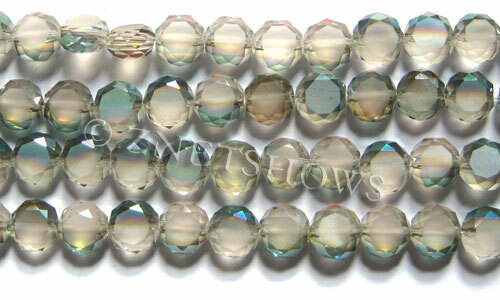 Tiaria .. Chinese Crystal .. 18mm Coin Puffed Faceted Beads .. Our Designer Glass beads are made to imitate the glorious Swarovski crystals in brightness and sparkle. 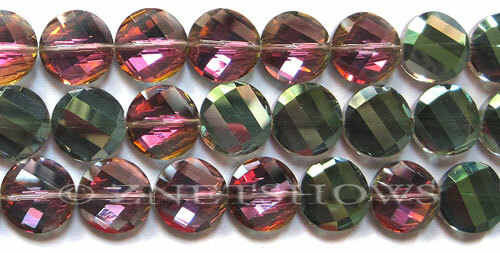 All the sparkling small facets are made using an advanced cutting technics called imitated Swarovski cutting. Then we make some colors with AB finish in high temperature. 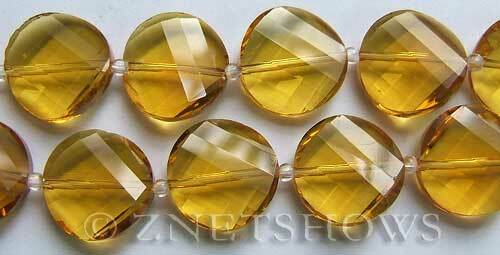 We have many popular shapes in various colors for these faceted Designer glass pieces. Please turn to other groups for more shape choices. Please note that for this product group we use 8-inch unit due to popular requests from customers. Actual price is exactly half of the regular 16-inch price. We hope smaller units will help you to try more variety. Please see the actual products in the order table below.